Findings by the United Nations on this relationship are staggering. According to their estimates, 1,000 kids die each day due to preventable water and sanitation-related diarrheal diseases. This is partly due to the fact that 80% of wastewater from human activities is put back into rivers and the sea without any treatment for pollution. At the same time, 4 billion people lack access to basic sanitation facilities, such as adequate hand-washing stations and toilets. Because of this, at least 892 million people still practice open defecation. It is these facts that led the UN to create a sustainable development goal concerning ‘Clean Water and Sanitation’ (SDG 6). It is also what motivates our team to continue to work with communities in East Africa. By developing sustainable water sources in these communities, the use of dirty, unclean water is prevented which leads to a decrease in the number of waterborne illnesses. In fact, focus on clean water and sanitation has the potential to prevent at least 9.1% of the global disease burden and 6.3% of all deaths, (WHO). In Well Aware communities alone, we’ve seen disease rates drop 63% once clean water becomes available. Our projects also help to increase water supply and production, because when water has to be rationed for drinking, farming, and cooking, other important activities that require water must often fall by the wayside- like cleaning and washing clothes. Finally, access points and water pipelines within the community is another important factor, especially for schools and clinics. It’s not uncommon for kids to be kicked out of school for being “dirty,” or for young girls to stay home for one week each month during menstruation due to not having a place to wash at school. This, in turn, leads girls to fall behind in school and causes higher rates of dropouts. 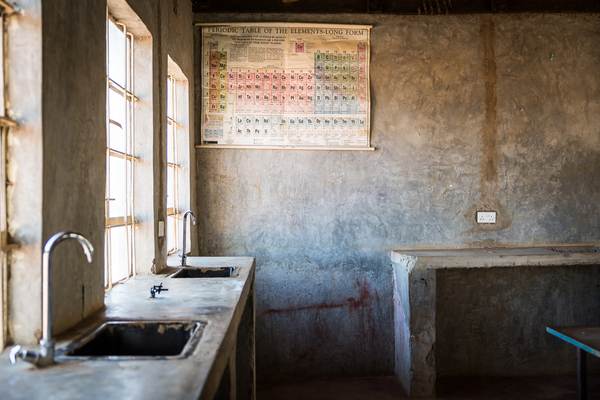 During our latest drill in the community of Miumbuni, Kenya, this past November, we heard firsthand of the impact that water has on sanitation. 65-year-old James described how the pond water they were using led to several trips to the hospital for his six kids, and sometimes forced the family to wear dirty clothes. Ndulo, 11 years old, also explained how without water, she and her family cannot cook or clean the house, which she described as “horrible conditions.” However, with a new well, they are provided with a continuous source of safe, clean water that allows her family to stop rationing water and easily practice sanitation. “Water is the source of everything,” she says. Although most of the global community understands the importance of clean water in relation to sanitation, one of the biggest challenges is implementing effective solutions in the places that need it most. During his Ted Talk, Michael Green expanded on this issue by saying, “we could be doing a lot better. 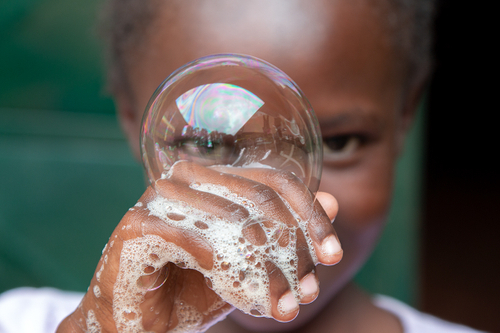 Water and sanitation is a solved problem. It's about scaling that solution everywhere. So if we could accelerate progress in some of those countries who are improving more slowly -- Nigeria, the Philippines, etc. -- then we could get a lot closer to the goal. Indeed, I think SDG 6 is probably the biggest opportunity of all the SDGs for a step change." It is because of this that while we take the time to reflect on another successful year of clean water projects, we are even more motivated for what lies ahead: making more progress on SDG 6 together.